You've heard me talk about Swagbucks.com and how they can help you save money and earn gift cards. 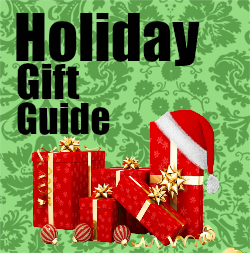 These gift cards paid for so many things over the years, so I'm happy to share a GREAT new way to earn get even more Swag Bucks -- or even win a $600 gift card. This year, Swagbucks turns 6, so they are giving away $600 PayPal gift cards to 10 lucky Swagbucks members -- and one of them can be YOU. 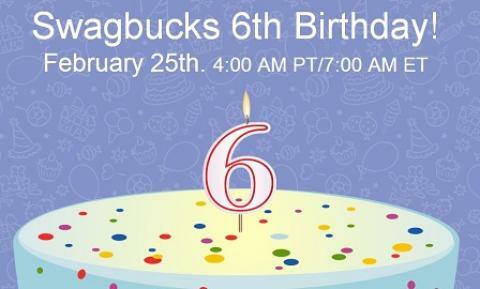 Here's how: Sign up here for Swagbucks AND RSVP for their 6th Birthday Party. You'll be assigned a team for the one-day Challenge on their 6th Birthday, Feb 25th. Now, for every 30 SB earned fro mthe moment you RSVP through the end of Feb 23rd, you will get 1 entry into their birthday giveaway. Here's the awesome part: ALL Swag Bucks, including ones from Swag Codes, count towards your giveaway entries. Winners will be announced on the Swagbucks birthday, Feb 25th. Even if you don't win the giveaway, they will hold a massive Birthday Team Challenge where all participants will get bonus SB, anywhere from 10 SB all the way to 500 SB for top earners. Make sure to click here to RSVP and learn more about the Birthday festivities and get ready to rake in the Swag Bucks and free gift cards!